You cannot hurt me, I do not have time to bleed! *Cracking noise* My schedule has just opened up! Aaaohhww, my God!" Due to the comedic style of Team Fortress 2 as well as Valve's humor, the game includes references, usually in a humorous fashion. There are many different types, from games to movies. Jokes that have developed within the game and its community have been included. Below are references that are not specific to one class. Bill's Hat, a reference to the game Left 4 Dead. A Fresh Pair of Eyes references the practice or effect of bringing in a new person to help solve a problem; the idea being that someone less familiar with the situation has a fresh pair of eyes that might see things that the rest of the team doesn't. Best Friends Forever, often shortened to BFF, is a somewhat outdated term for a close friendship used by younger teenagers. Grey matter is a major component of the central nervous system. The highest concentration of grey matter is found in the brain. Mass hysteria is the spontaneous manifestation of similar hysterical symptoms by more than one person. The Great Debate was a debate between two influential astronomers which took place in 1920, and concerned the nature of spiral nebulae and the size of the universe. "Liftoff" refers to the moment at which a vehicle such as an aeroplane, helicopter, or more appropriately, a rocket, leaves the ground. Someone who is said to have been "offed" has been murdered. Plan Nine from Outer Space is a 1959 sci-fi film notorious for its poor quality. A rocket booster is a component inside the engine of a rocket which provides additional thrust on takeoff, and is usually jettisoned when no longer required. The Right Stuff is a 1979 book about the U.S. manned space program. It was adapted into a film in 1983. The apogee is the point where a satellite is the farthest away from earth. For example, the moon's apogee is 405,000 km away from earth. A Space Camp is a summer camp designed to teach young people about various aspects of astronomy and space exploration. The flight crew are the personnel who operate an aircraft while in flight. As they are so complex, all aerospace flights require a mission control center from where support personnel monitor all aspects of the mission. Real Steel is a 2011 science-fiction sports film, set in a future where human boxers have been replaced by robots. This is a reference to the film Terminator 2: Judgment Day and its final scene. A "claim jumper" is someone who illegally occupies or profits from a property to which another has a legal claim. In any year of the World Snooker Championship, held in the Crucible Theater in Sheffield, England, the winner (or the runner-up) can play a cumulative total of no more than 137 frames over all five rounds. Raise the Roof has long meant to create an uproar or make a resounding noise (same as rattle the rafters). More recently, the phase names the gestures similar to that shown in the icon; one instance being a dancing motion whereby the dancer pushes both hands up in the air with their palms open and facing upwards. To "raze" a building is to demolish it. "Graze the Roof" is the song playing in the Roof Stage of Plants vs Zombies. A "dead heat" in a sporting event describes a situation in which both teams are so evenly matched that neither can achieve a decisive victory. Family Force 5 is a Christian crunk rock band from Georgia, USA. In the National Football League, a "two-minute warning" is given when two minutes of game time remain on the game clock during each half of the game. A jack-o'-lantern is a hollowed-out pumpkin with a face carved in its front and a light source placed inside. A coroner is a government official who examines autopsy reports and rules on cause of death. Candy corn is a type of candy often given out during Halloween. A costume contest is a competition in which participants try to determine who has the best Halloween costume. Optical Diffusion, the scattering of light, is an important game technology, such as in the Source Phong shader on the Valve Developer Community. However, the purposeful misspelling suggests that by defeating the Optical organ, the player is defusing an explosive situation. In the TF2 universe, Saxton Hale is the President and CEO of Mann Co.
For someone to be "scared stiff" he/she must be so afraid of something he/she is unable to move. However, the term stiff may also refer to a human corpse; so, killing a scared player results in a Scared Stiff. The Legend of Sleepy Hollow is a short story by Washington Irving in which a young schoolteacher named Ichabod Crane is pursued by a ghost known as the Headless Horseman on an autumn night. "0wnd" is an Internet slang term used to refer to someone who has been defeated in a game. WALL-E is a 2008 animated sci-fi/romance film about robots. A "ballsy" person is one who is tough or courageous. The Brotherhood of Steel is one of many factions seen in the Fallout series of role-playing games. Chippin' In means throwing in or contributing to a collective or team effort. Chippin' In also means knocking something into a hole. Additionally, the pit on this map is Captain Dan's wood chipper. Control-Alt-Delete is a keyboard command used to bring up the task manager in Windows, or otherwise used to restart a PC computer. This particular combination of keys is chosen due to generally being the least susceptible to ghosting. A deus ex machina, literally "god out of the machine", is a plot device that suddenly and abruptly solves a story's seemingly unsolvable problem. Do Androids Dream of Electric Sheep? is a 1968 science-fiction novel about a bounty hunter who is charged with "retiring" escaped androids. An engine block is a metal block that contains an internal combustion engine's cylinders. .exe is the filename extension Windows and MS-DOS use for a program (an executable file). In computing, a cache is a temporary place to store information, to make retrieving the same information later faster. The term "fast cash" refers to a quick way to make money. To say someone has gone from "rags to riches" means he/she has come from a state of poverty to a state of wealth, usually in a relatively short time. In online games, the term "frag" is synonymous with "kill". "German engineering" is a buzzword used in recent Volkswagen advertisements. Ghost in the Machine is a 1993 film about a serial killer whose mind is transferred to a computer and goes on a murder spree. A "jack of all trades" is a person who is competent with many skills. A hard reset is a forced shutdown and reboot to a system by hardware means, usually done by pressing a reset button. "Heavy metal" is a term that commonly refers to a metallic element that is toxic and typically has a high density. A critical error is an error that is serious enough to make the program or operating system cease to run properly, causing the computer to freeze or restart. A particle with a negative charge has an abundance of electrons in its outer atomic shell. This achievement is associated with Captain Dan's wood chipper -- the sign above the chipper states that the company’s wood pulp is “Now legal to eat”. Microcrystalline cellulose is a term for refined wood pulp, which is used as a thickener in soup and as an excipient in other food products. With proper labeling, wood pulp is legal to eat. Ooohh Ooh Ahh Ahhhh! is a stereotypical vocalization made by banana-littering giant gorillas, such as those that have famously run loose in Mannhattan. A palisade is a defensive fence or wall made by setting wooden stakes, posts, or trunks in the ground. This is a classically expedient and less than permanent construction; but building one could aide in the defense of a stone palace, a relatively permanent installation. RAID is a storage technology that spreads storage across multiple disk drives for performance or security. Silicon is a chemical element commonly used in the manufacture of electronic devices. "High voltage" refers to voltage in circuits that poses safety issues. Spam is a common term for junk mail. Spam blockers are programs that filter spam out of one's inbox. A spark plug is a device that delivers electric current to a car's engine in order to ignite it. Steel Magnolias is a 1989 comedy film about a group of women described as delicate as magnolias, but tough as steel. The T-1000000 is from the Universal Studios park attraction T2 3-D: Battle Across Time and is a metal spider-like version of the T-1000 from Terminator 2: Judgment Day. A Turbocharger is a device which delivers compressed air to an engine to allow more power to be produced. To undelete a computer file is to undo a delete of the file. File sharing is a method of transferring data over the Internet. It is often misused for illegal purposes. Rage Against the Machine is a rock band from Los Angeles, California, USA. In the Coen Brothers film The Big Lebowski, Logjammin' is the title of a pornographic movie in which the character Bunny Lebowski starred. This weapon is a reference to Lester "Baby Face Nelson" Gillis, an infamous bank robber during the early 20th century. The description of the weapon references Give Peace a Chance, a song by John Lennon. The Frying Pan is a melee weapon used by the survivors in Left 4 Dead 2. The Half-Zatoichi is a reference to a long running Japanese fictional character, Zatoichi, that is a blind swordsman. The name comes from the demoman's missing eye, making him half blind, and therefore "half" Zatoichi. The Market Gardener is a reference to a World War 2 maneuver known as Operation Market Garden in which Allied forces parachuted down to meet up with ground forces in the Netherlands. Winner: [Category] [Year] Imbued with an ancient power. The Annual Saxxy Award is a reference to the annual Academy Award, having similar prize statuettes and opening songs. This is a stylized version of an enemy parasite from Alien Swarm. Produce-powered personal illumination and cranial safety apparatus. NOT FOR USE OUTSIDE OFFICIAL APERTURE FACILITIES. This cosmetic is a reference to the "Potato Clock" or "Potato Battery", a popular science fair project where a potato is used to power a clock or other electronic appliance and a running joke in Portal 2. The Athletic Supporter sports the Monday Night Combat logo on the front. "Athletic supporter" is an alternate name for a jockstrap. Be the Big Man of Christmas with this fur-fringed pom-pom hat! The "Big Man of Christmas" is Santa Claus; the abbreviation is a play on the term "Big Man on Campus", a highly respected individual on a college campus. This is the beret worn by Vietnam war veteran Bill in Left 4 Dead. The name "Bombinomicon", a portmanteau of Bomb and Necronomicon, is a reference to the fictional grimoire from the The Evil Dead films which also had a face, was bound in flesh, and inked in blood. The name of the book from the film series was taken, as a tip of the hat, from the works of H. P. Lovecraft, which feature a grimoire of the same name. The logo of Sarif Industries from the Deus Ex series is printed on the front of the cap. The item is a reference to the Eleventh Doctor from the television series Doctor Who, who wears a similar bow tie. The Ebenezer's name, as well as its description, is a reference to Charles Dickens' novel A Christmas Carol. The description references the three spirits of Christmas Past, Present and Future that visit Ebenezer Scrooge, the main character, during the course of the story. Ellis wears this cap in Left 4 Dead 2. The item's name and description are a reference to the film Office Space, in which employees of the restaurant Chotchkie's were required to wear at least "fifteen pieces of flair" (wacky buttons and decals) on their uniforms to demonstrate their enthusiasm. A "Full Head of Steam" refers to a steam boiler (especially a locomotive’s) that is "all fired up", "raring to go", and operating at full pressure (also called full head). Wearing a hat with a steam whistle suggests a "Head Full of Steam". The idiom "full steam ahead" describes a task done with as much enthusiasm as possible, or to go as straight forward as humanly possible. Earned by completing 28 objectives in 'The Great Steam Treasure Hunt.' Beware the Cephalopod padlock. The hat is level 28, the same number of objectives required to be completed in The Great Steam Treasure Hunt to earn it. The human cannonball is a popular circus stunt in which a person is launched from a cannon. This hardhat sports the KritzKast logo on the front. The description is a tagline for pirate radio. The hammer symbol on this medal is a reference to Valve's map editor, Hammer. The item is referred to as a "Func_Medal", a reference to the various func-prefixed entities available for use with the Hammer editor. Everyone knows laughter is the best medicine. But did you know that laughter is also the best disguise? No? Well, good thing you're not a cop infiltrating the Chinese mafia, then. Oh wait you are. AND NOW YOU'RE DEAD. Look, rookie, these glasses are actually hilarious. The item is designed to resemble the popular novelty item Groucho glasses, which are based on the comedian Groucho Marx. The name is a play on the term "marksman", referring to a person who can shoot well. Expertly crafted headwear from cruelty-free farms in the Philippines. Hollowed-out skull casing wicks moisture away when in the heat of battle. This hat is made from the head of Max from Sam & Max. The description is a reference to the first Sam & Max comic, Monkeys Violating the Heavenly Temple, which took place in the Philippines. Philately is the collection and study of postage and imprinted stamps. The next time someone accuses you of not being a real wizard because you refuse to (read: can’t) do spells, poke them in the eye with this magically blinding pointy hat and run. Amadeus, a wizard in Trine 2, wears a hat similar to this. The description references the fact that Amadeus is incapable of conjuring a fireball, a recurring joke in the Trine series. The description references this hat's origins; it is visible on the Human Commando player model from the early "Invasion" version of Team Fortress 2, as well as the files that were leaked in 2003 with Half-Life 2's source code. This item features Portal's companion cube. The item is level 13, the same number of games required to be played in the Potato Sack pack to earn it. This hat is level 31, referring to Halloween on the 31st of October. The item is a reference to the classic Dr. Seuss story How the Grinch Stole Christmas! whose title character is born with a heart two sizes two small but when he gives Christmas presents to the Whos of Whoville, his heart grows three sizes. Hypertrophic cardiomyopathy is the medical term for thickening and growth of the heart. The Capture the Flag map 2Fort is often referred to as "Teufort" in TF2's supplementary material. The hat adopts the likeness of Markus "Notch" Persson's personal avatar, a drawing of himself in the artistic style of Minecraft, on which he was the lead developer until the game's official release. Something which is described as being "top notch" is first rate, or excellent. A-ha-ha! You are as PRESUMPTUOUS as you are POOR and IRISH. Tarnish notte the majesty of my TOWER of HATS. This hat and its description are references to the hidden Gentle Manne of Leisure page on the Classless Update. The Voodoo Juju is level 31, referring to Halloween on the 31st of October. Should a player contribute enough to obtain 200 stamps for their World Traveler's Hat, its rank will change to "Unobtainium", a reference to a recurring alloy in science fiction and speculative science. Aperture Science Prototype XR7 – Aperture Science Laboratories is the main setting for Portal. Black Mesa – The main setting of Half-Life. Boomer Bile – A substance produced by Boomers in the Left 4 Dead series. CEDA –- The Civil Emergency and Defense Agency in the Left 4 Dead series is responsible for control of the Infection. Chell – The name of the protagonist of Portal. Companion Cube – An object in Portal used to solve Test Chamber 17. Crowbar – Gordon Freeman's melee weapon of choice in the Half-Life series. Delicious Cake – The "reward" of subsequent testing in Portal. Dog – The name of Alyx Vance's pet robot from Half-Life 2. GLaDOS – The main antagonist of Portal. Hostage – A hapless citizen held up by the Terrorist team in Counter-Strike. IvanTheSpaceBiker – A nickname given to the original model of Gordon Freeman in Half-Life. One-Man Cheeseburger Apocalypse – A reference to a quote from Coach in Left 4 Dead 2. Still Alive – The name of the song played during the end credits in Portal. TAAAAANK! – A warning shouted by the Survivors in the Left 4 Dead series when a Tank is spotted. The Combine – The primary antagonists of Half-Life 2 and its episodic sequels. The Freeman – The nickname Gordon Freeman is given by the Vortigaunts of Half-Life 2. The G-Man – A mysterious recurring character in the Half-Life series. WITCH – One of the Special Infected types in the Left 4 Dead series. ZAWMBEEZ – Pronunciation for "zombies", the primary enemies in the Left 4 Dead series. The Soldier and Demoman often reference Greek myth in their taunts of each other, especially concerning the Cyclops. One of the stock death responses used in Trailer 2 is the infamous Wilhelm Scream, a well known movie sound effect. This was also the death scream used for the Civilian class, when it was originally accessible via console commands. Haunted Fortress 2, the soundtrack to the Scream Fortress Update, contains screaming sounds used by the Witch Infected from Left 4 Dead. "Flawless Victory, now do it again!" This line from the Administrator is a reference to the Mortal Kombat announcer's famous "Flawless Victory!" line. The Ferguson system is a real brand of tractors established in 1934. Badwater Basin is a real place located in Death Valley National Park, California. Team Fortress 2 carries a heavy retro 1960's style, drawing heavy thematic and musical inspiration from famous spy films and series such as James Bond, Get Smart and The Avengers. Team Fortress 2 is referenced in the Robot Chicken episode "Choked on Multi-Colored Scarves", which features a sketch in which Robot Chicken's Nerd is depicted as a class. A Communities vs. Pros 3: Cold War tournament poster features the tagline "The Nuclear Winter Approaches" which is a reference to Duke: Nuclear Winter. Due to its high popularity, references of Team Fortress 2 can be found in other games as well. Battlefield 3 has a multiplayer assignment called "A Good Demo Man". Bloons Tower Defense 5 has several references to TF2, such as using one of the Soldier's taunts as an icon and a Monkey Engineer which creates Sentry guns. Champions Online has an arcade game called "Team Buttress 2" which advertises that now comes with "TWO FORTS! ", a reference to 2Fort. Duke Nukem Forever's DLC, called "Hail to the Icons Parody Pack", allows players to wear hats and contains a multiplayer map called 2Forts1Bridge, a reference to 2Fort. An advertisement of this map says Hats? Duke loves hats. Give him a minigun and he’ll take down all comers, which may be a reference to the Trailer 2 video. Dungeon Defenders has four Steam Exclusive playable "familiars": the Heavy, the Engineer, the Medic, and the Pyro. 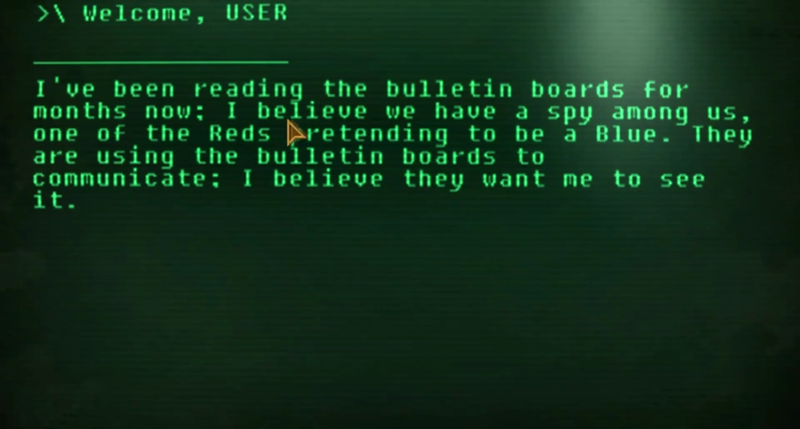 Fallout: New Vegas has many hackable computers containing information, one specifically referring to a RED Spy infiltrating the BLU's base. Killing Floor features the Pyro as a playable character for players who own Team Fortress 2. Left 4 Dead has a cereal box in the first level of No Mercy that offers Team Fortress 2 toys, which can be seen in the first building the survivors venture through. Oddly enough, the box reads "10 to collect" despite there being only 9 classes, possibly referencing the tenth class. In the Sacrifice comic, Louis has a Heavy figurine standing on his desk. Left 4 Dead 2 has a voice clip of Ellis in which he remarks "This is just like Team Fortress 2". The Pyro and Heavy appear as mascots for "Pyro's Hamburgers" and "Heavy Gulp". There is also a brand of soft drink labeled "MANNS" found in a safe room. Matt Hazard: Blood Bath and Beyond contains a level which references TF2. You start in a supply room and have to fight through a western area full of enemies based on various TF2 classes. The level even includes the Meet the Spy announcement room. Minecraft took a jab at the Mann Co. Store for April Fools Day 2011 with in-game "Steve Co. Supply Crates" which can only be unlocked with "Steve Co. Supply Crate Keys" bought from a (fake) micro-transaction service which is presented with the Team Fortress 2 font. There is also a splash that reads "The creeper is a spy!," referencing the voice clip of the same likeness spoken by all classes. Monday Night Combat contains a variety of items that relate to Team Fortress 2, like the Demoman's hat and eyepatch and the Heavy's bandolier. Overwatch, Pharah has a voice line where she says "Rocket Jump? That sounds dangerous." referring to one of the basic strategies of Soldier. Paladins features an Engineer skin for Barik, one of the playable characters on the game. PAYDAY 2 features a level 1 RED Sentry Gun in the Transport: Train heist and the Henry's Rock heist. Poker Night At The Inventory features the Heavy as an opponent, along with many references to Team Fortress 2 made in conversations with other characters. Also, there are other Team Fortress 2 references: themed card decks with classes and other characters, table covers with familiar TF2 logos and re-stylized theme songs - Team Fortress 2 and More Gun. Portal 2 features hats from Team Fortress 2 that can be used in the Co-op campaign if you own them in Team Fortress 2. These include the Mann Co. Cap, Prince Tavish's Crown, Pyro's Beanie, Fancy Fedora, Master's Yellow Belt, Tyrant's Helm, and Aperture Labs Hard Hat. Roblox features a "gear" that bears a striking resemblance to the Demoman's Secondary weapon the Stickybomb Launcher. Sam & Max Season 3 Episode 4 Beyond the Alley of the Dolls has a cameo appearance of a level 1 BLU Dispenser, referred as a "curious dispenser". Section 8's add-on content 'Prejudice' has an achievement named 'Use More Gun', which is a quote of the Engineer in his Meet the Team video. StarCraft II contains an achievement called "Meet the Spy", an obvious reference to the official ''Meet the Spy video. Also, the achievement "Professionals have standards", which involves the "snipe" ability, is a reference to Meet the Sniper. Super Monday Night Combat has TF2 items just like its predecessor. Specifically, reaching level 10 unlocks an Engineer uniform for Combat Girl, and reaching level 15 unlocks a Soldier uniform and rocket launcher skin for MegaBeth. Surgeon Simulator 2013 has an achievement named "Don't Be Such A Baby, Ribs Grow Back!" which is earned after completely smashing the patient's rib cage. This is a reference to Meet the Medic where the Medic speaks the same line. The icon for this achievement is also a picture of the Medic. There is also a level where you play as the Medic and must perform an "Uber Heart Transplant" on the Heavy, very similar to Meet the Medic. World of Warcraft: Cataclysm features a quest involving a large goblin pushing a cart down a track and at some point will say "We must push little cart! ", a reference to the Heavy's voice clip. Worms: Reloaded contains customizable headgear which can make Worms look like TF2 classes, with forts that contain key features from many TF2 maps. Erfworld has a character who bears striking similarity to the Engineer. This page was last modified on 19 July 2018, at 16:55.